Italian charm bracelets offer a fun way to personalize your jewelry and make a statement about what's important to you. No matter which charms you plan to add, you can buy these pretty bracelets at a number of Internet retailers who specialize in this type of jewelry. As you shop, you'll find that you can purchase fully assembled bracelets, individual charms, or custom designs with your choice of components. To get the best selection, it's easiest to shop at retailers who specialize in Italian charms and assembled bracelets. Consider some of the following shopping resources. Pugster has a gigantic selection of starter bracelets and charms. You can even purchase custom or personalized charms to really make your bracelet special. 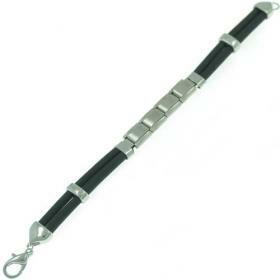 There are several great options for starter bracelets, including the following. Wire Starter Bracelet - This simple design features four plain steel links, which you can easily replace with the charms of your choice. It retails for about $15.00. Starter Green Bracelet - Featuring an attractive light green enamel on 18 of the steel links, this bracelet is pretty on its own. You can add charms to give it more personal style. It retails for about $9.00. A review of Pugster on Reseller Ratings is very positive. Highlights include the selection and quality, as well as the great customer service. Pugster offers free shipping on orders over $49.00, and they have a 60-day return policy. Nomination is the company behind the Italian charm bracelet trend. Instead of buying a starter bracelet and then replacing links with specific charms, you can include a base with any charm order for an extra $10.00. You can also drag and drop charms on the site to create the ultimate bracelet. It will arrive pre-assembled and ready for you to wear. 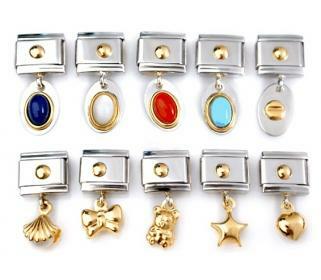 There are thousands of charms to choose from, and they start at $34.00 each. You can shop online or use the store locator to find a boutique near you. While there aren't any reviews of the online shopping experience, this is a well-established business that has been around since 1987. Shipping fees vary depending on location. You can return any purchase within 30 days, but you may be subject to a restocking fee if you simply changed your mind. Heavenly Treasures also has a great selection of charms and bracelets. You can get a free starter bracelet when you buy any charm from them. In addition, this store has some other interesting options. Zoppini Modular Watch - You can buy a starter bracelet that comes with a watch face. 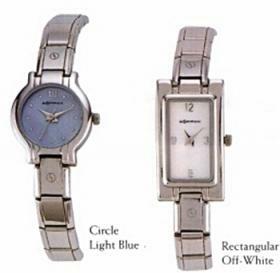 It's available in circular and rectangular styles and retails for $150.00. Letter Charms - You can spell out names, zodiac signs, a short message, or whatever else you can think of. 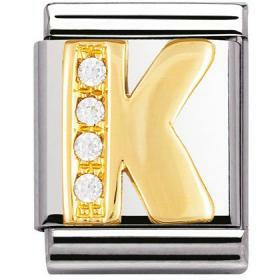 Made from stainless steek and 18k gold, each letter retails around $24.00. According to reviews on Yahoo Shopping, Heavenly Treasures has a great reputation. Reviewers praised the fast delivery, great prices, excellent customer service, and quality products. They offer free shipping, a 90-day return policy, and a lifetime warranty on all products. You can also a make your own Italian charm bracelet by purchasing individual charms. The process of assembling the links is easy, and this is a great way to customize your bracelet's look. Whether you choose a beautiful starter bracelet or assemble your jewelry out of individual charms, there are many great options. These bracelets are infinitely customizable. and they're perfect for showing your personality to the world. Choose a company with a good reputation and fair store policies, and you'll ensure a happy shopping experience.